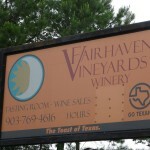 Fairhaven Vineyards is located in Hawkins and is owned by Ron Winters. 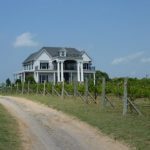 The vineyard was started in 2004 and there are now 11 acres. 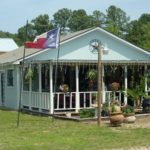 The winery itself opened in 2009 and is very easy to find in the back roads of East Texas. When we arrived at the winery, there was a pourer helping a few people. 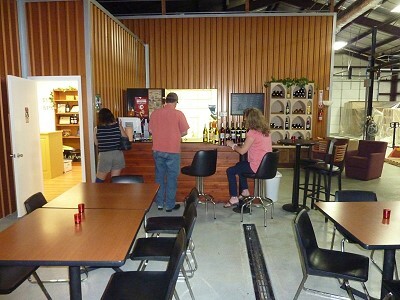 Since the tasting bar is small, we looked around the room and the adjacent winery production area while waiting for our turn. 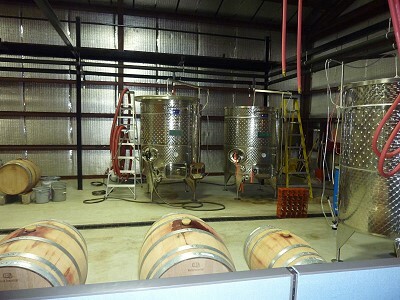 There are tables in the tasting room where you can enjoy a glass of wine and the production area makes for nice viewing while there. It was time for our tasting and the pourer started us out. The tasting is done standing at the tasting bar and the wines are poured from the uncorked bottles. 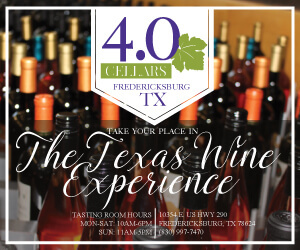 There is a tasting fee per wine and it depends on the particular wine as to what the cost is. They do give a generous amount of wine for tasting. Ron Winters, the owner and winemaker, came in soon and told the other person how he saw a few cars at the winery, so he came down to help out. He then took over pouring duties for us. Since we had the owner helping us, we were able to ask some questions and we knew we could get the correct answers. 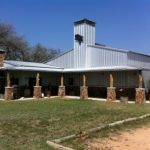 As we mentioned previously about the vineyard, Fairhaven Vineyards grow their own grapes in addition to using Hill Country grapes and about 15% Napa grapes. 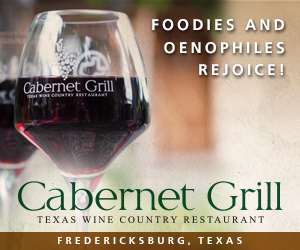 Ron stated there was almost no chance of using 100% Texas grapes in their wines. 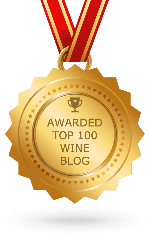 One thing about the winery which we have not experienced before was the winemaker making negative comments about other wineries. 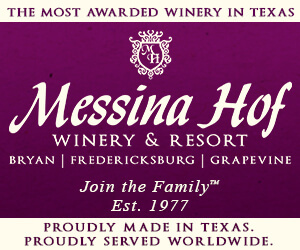 Usually all Texas wineries are very complimentary of other Texas wineries and go out of their way to help promote them. 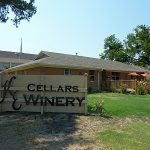 For example, when Ron was talking about his winemaking process, I mentioned how one winemaker in the area had told us one part of how he does his process, primarily because it is a smaller winery. He had to guess the name of a winery which was wrong, but we thought it was in bad taste to put down another winery, especially one on the same wine trail. 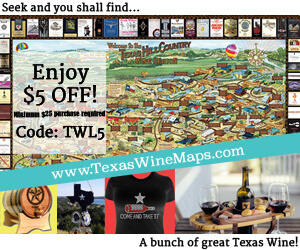 Later he said how one customer went to a big winery on the wine trail and said the wine tasted like kerosene. He commented how some wineries make bad wine and just keep making it year after year instead of learning it is bad and changing the process. We asked for the name of that winery, but at least this time he would not say. 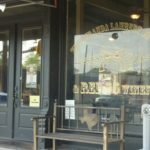 You can buy food to eat during your visit to the winery. 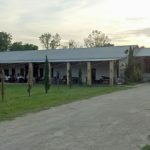 Music events are also held at the winery, including being able to rent out the winery and vineyard for private events, weddings, parties, business meetings, or social events. 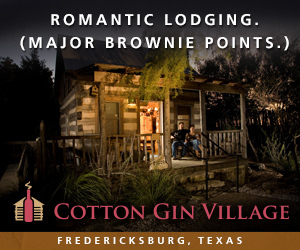 A small gift shop is present at the winery and there is a wine club available. 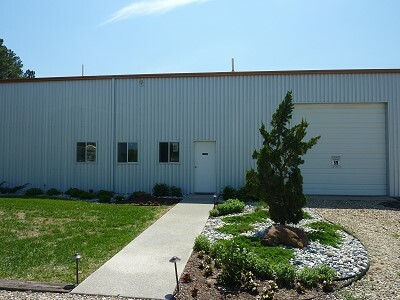 Fairhaven Vineyards even offer a service where they will install a vineyard at your location. 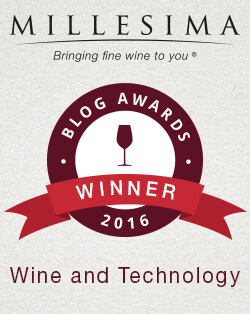 Ron did say if we were still learning about wine that we should check out his website since he has research information on there. He does have some informative knowledge there. On our way out, Ron asked if we were going to be in the area again soon and gave us two tokens for free tastings. We thanked him and left the winery. 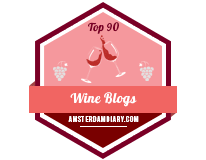 When we looked at the tokens later, we were not sure if they are good for a complete tasting or just one wine. Perhaps one day we will find out. 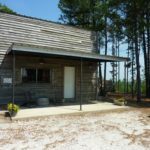 Fairhaven Vineyards is on the Piney Woods Wine Trail.